Skypatrol is passionate about delivering the best BHPH software tools to run an efficient and stable car lot business. But what does it really take to run a successful BHPH business, besides our industry-leading BHPH solutions? BHPH accounts for nearly 17 percent of all used car sales in the US, and nearly 10 percent of all vehicles in general—so having the right tools and strategies for business prosperity is important in this saturated industry. In this blog, we’ll discuss five things that all successful BHPH lots need to grow their business and sustain success. This one might seem like a no-brainer—but having enough startup funding for a BHPH business is critical for your business’s short-term and long-term success. You have to spend money to make money—and if you don’t have enough capital to feasibly take care of your facility, inventory, employees, marketing, and licensing expenses, you put your business at a higher risk for failure before you even get a chance to grow. It’s also worth noting that going “all in” by maxing out your personal credit cards or emptying your savings account is not the right way to fund a business. While starting any sort of business is a risk, you shouldn’t have to take on any great deal of debt or spend your emergency funds to start a business—this could put you in a very difficult position if your business fails. The BHPH is growing steadily every year, so there’s no need to rush into the car sales arena before you’re absolutely ready. Take the time to acquire and save funds so you can do the job right the first time. BHPH is, by nature, a retail business—you have a product supply, and hopefully, there’s a demand for what you’re selling. The better your products are, the more likely customers are to buy them. This retail process gets even more complicated, especially when buyers are investing in something as expensive as a car. 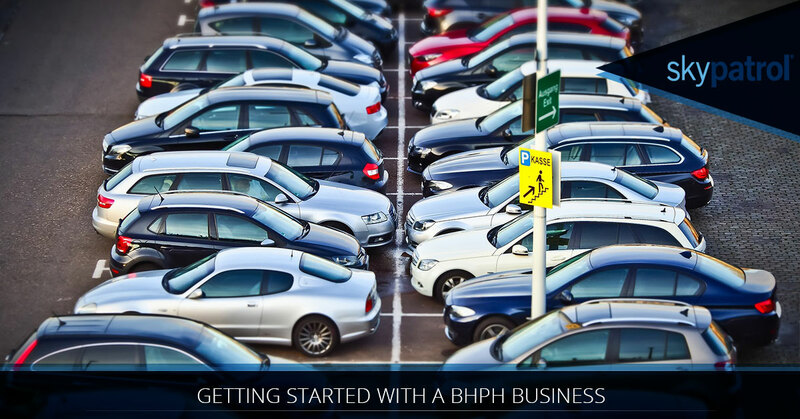 That’s why you need a high-quality car inventory for your BHPH business to be successful. If your car lot exclusively sells Chevy Malibus, you’re probably not going to have a successful BHPH business. While BHPH lots aren’t going to be the space for Escalades and BMWs, your should still keep a diverse selection of vehicles that could attract a variety of buyers with a variety of needs—economy cars for the budget-conscious consumer, minivans for families, or trucks for hard workers, to name a few. For car salesmen, there’s a lot of power in the words “I have the perfect car for your needs.” Diversify your selection, and reap the benefits—your customers will, too. Whether it’s a 1999 Chevy Cavalier or a 2017 Rolls Royce, buying a car is a huge purchase with a ton of risks. If the car you buy turns out of be defective or breakdown-prone, you could spend thousands more than you intended just to keep your car on the road. As a BHPH dealer, it’s important to keep your cars well-maintained so they a) look more appealing to buyers and b) stay reliable over the course of ownership. This will maximize the value you receive for a vehicle, and will make sure your buyers don’t have any complaints with their vehicles down the road—so have all of your inventory inspected before selling them. This issue goes well beyond cars—poor vehicle quality and dependability can irreparably damage the public perception of your business, especially if you set up shop in a smaller city or a rural area. If one or two customers have immediate troubles with their vehicles from your lot, they’re going to tell their family and friends about it—and the chain continues. Word of mouth is one of the most powerful forms of marketing—it can work for you or against you. If your business has a reputation of selling high-quality, dependable vehicles, your bottom line will reflect that. But if your reputation is poor because your vehicles aren’t dependable, it could be more than enough to sink your business. Even when buyers are buying a used car, they want to feel like it’s a new car. They crave a squeaky clean interior, flawless upholstery, and of course—that new car smell. If your cars aren’t pristine (or worse, they leave proof of previous owners), it’s going to make the buyer question the quality (and the past) of the vehicle. While you can always scrub down a car with some Armor All wipes, a vacuum, shop towels, and a toothbrush, it’s hard to get that professional touch that wows buyers. Taking all of your vehicles to get professionally detailed will ensure that your cars always have that pristine look and new car smell, and will free up time for you to help customers and build your business rather than scrub cupholders and vacuum floor mats. Ultimately, a business is built around people—which means a good business is built around good people. So if you’re looking to start a BHPH business in a competitive car sales landscape, you need the right people to be the faces of your business, and work hard for your collective success. No matter what employee structure you have in mind, it’s important to find hardworking, trustworthy people to handle the daily operations of your business—people who have the passion and the will to succeed, and people who will go the extra mile to improve your business every day. These people are hard to find, but they are essential to your success. Bill Gates once said “If I were down to my last dollar, I would spend it on public relations.” This shows how important marketing and public outreach can be for a business—so when it comes to starting your BHPH business, marketing should take up a large portion of your budget. You could have the most well-run BHPH business in the world, with the best cars and the best employees—but if nobody is aware of your business, you’re doomed. This is why marketing is so important—it makes you available to people who are looking for your products or services. For the best marketing and business success, you need to be where people are searching for you—on the first page of google searches, on social media, and on local platforms. With a little bit of hard work (or help from someone with marketing skills), you’ll be surprised how much marketing can increase the profit potential and public exposure of your business. The BHPH industry comes with a lot of data, customer information, and of course, financial risk. To run an efficient business, you need all of this information to be organized and accessible—and if a customer doesn’t make payments on their vehicle, you must be able to retrieve your $10,000+ investment instead of suffering a catastrophic hit to your bottom line. That’s where Skypatrol’s Defender can help. As a BHPH and vehicle financing solution, Defender provides you with an easy and organized interface with advanced metrics, pre and post-sale data verification, custom geofencing tools, and advanced repo solutions that make repossession of vehicles easier than ever before. Schedule a Defender demo today, and hit the road to BHPH success!